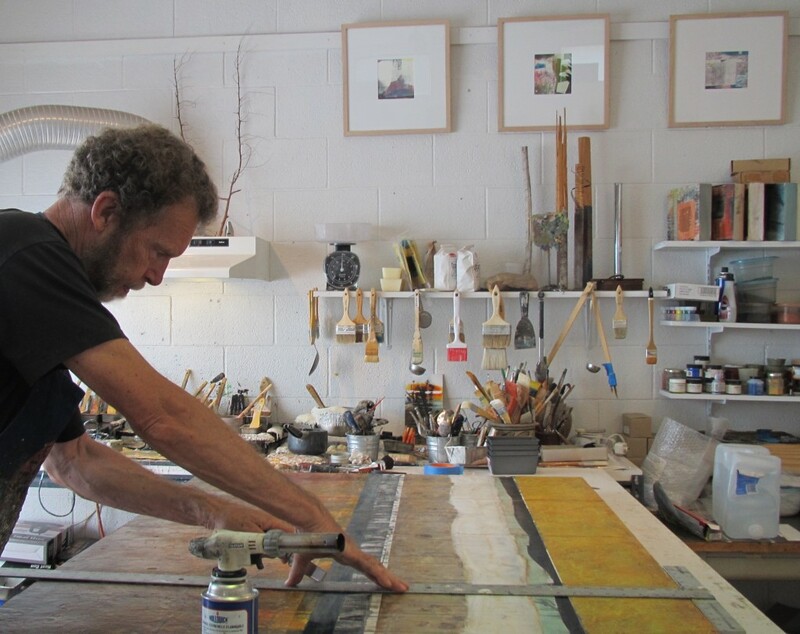 Known primarily for his encaustic abstractions inspired, in part, by the landscape of southern Utah, Jeff Juhlin has started 2015 as he has for the past five Januarys — by teaching a couple of encaustic workshops at the Hui Art Center in Maui. “It’s a stunningly beautiful place located in what they call ‘Upcounty’ on the side of the volcano on the north shore,” he reports.“It’s great fun and gives me a much needed winter break. 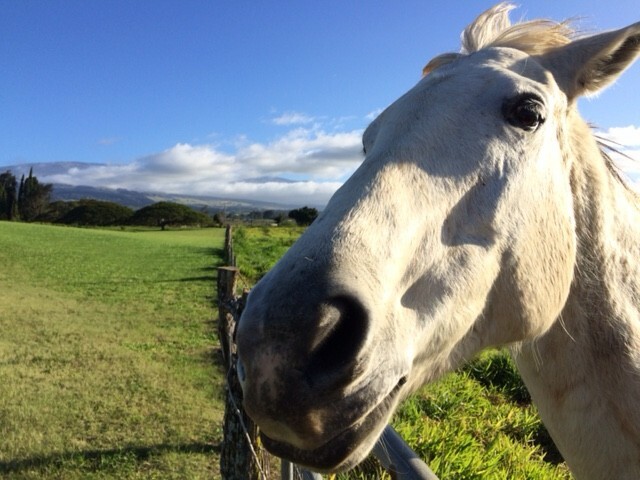 Still can’t do the Hula!” He adds, “I am especially fond of my horsey teaching assistant this year [pictured] but he costs me a lot of carrots. His advice, however, is well worth it!” Jeff says they have a daily discussion about the relevance of abstraction and that a carrot or two keeps the motivation level high. Jeff also just completed shows at Ellesworth Gallery in Santa Fe and Space Gallery in Denver.